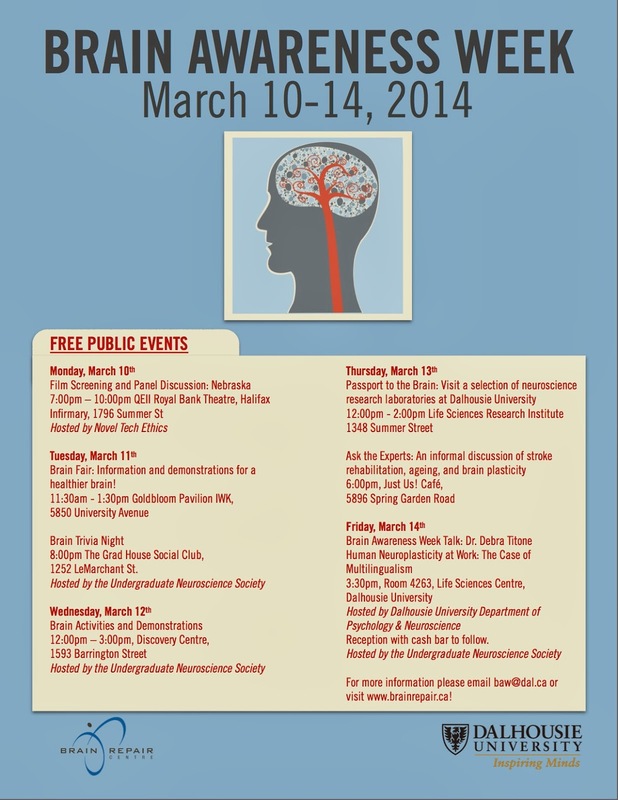 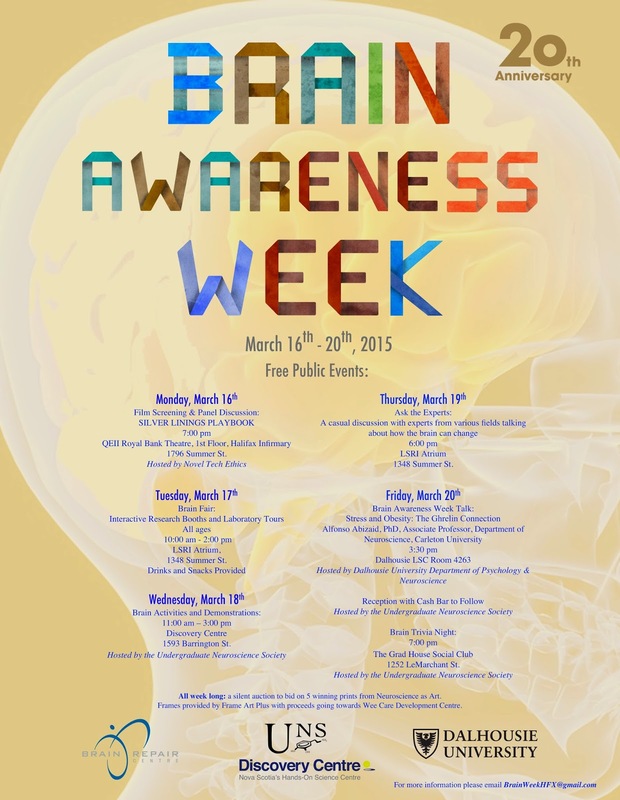 The free, public events planned for the 20th anniversary of Brain Awareness Week! 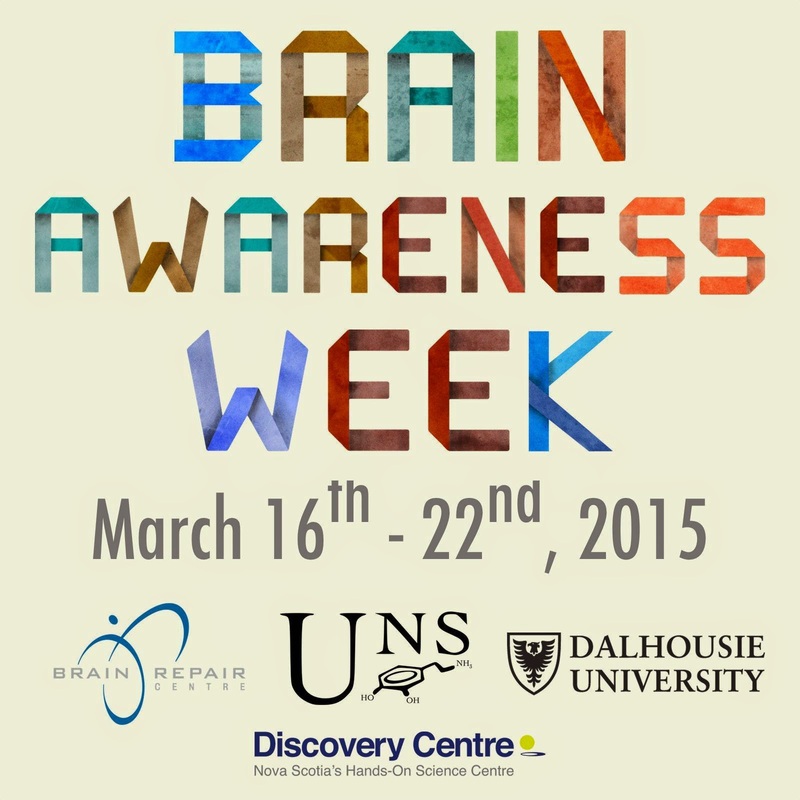 Brain Awareness Week falls on March Break this year, so bring the kids out to learn about the brain and see for yourself why Halifax is one of Canada's leading neuroscience research hubs! 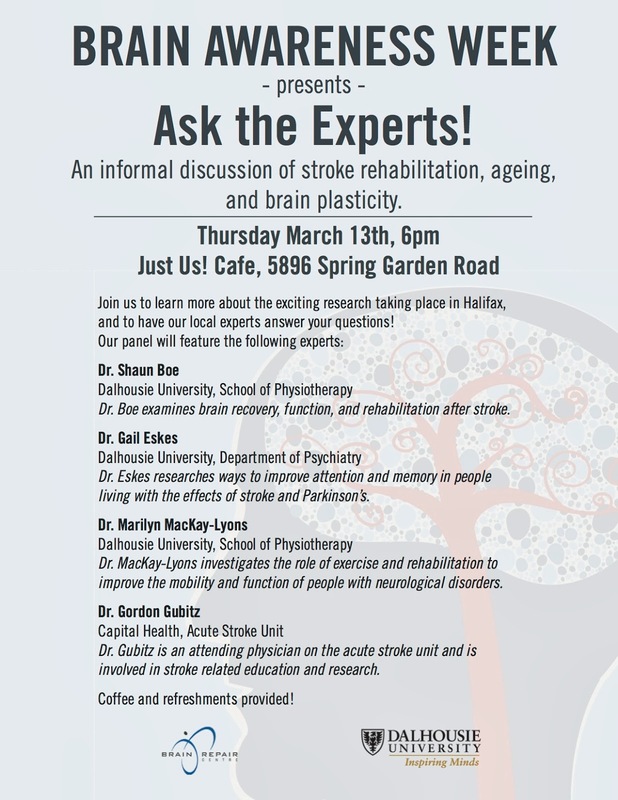 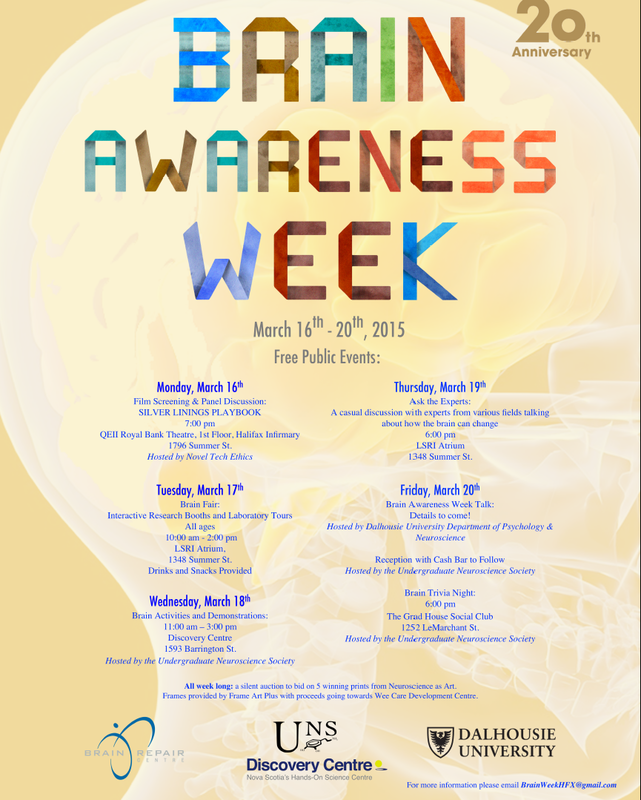 Brain Awareness Week 2015 kicks off March 16th!